The sign at the former Hilltop Steak House on Route 1 in Saugus, Massachusetts. The Hilltop Steak House has been sold for $17.2 million to a company with plans for a new mixed residential and commercial development on the landmark property. According to the Lynn Item, AvalonBay Communities recently closed on the deal. It is planning a $100 million development that will include 280 apartments and retail space. The project is expected to take at least two years to complete. 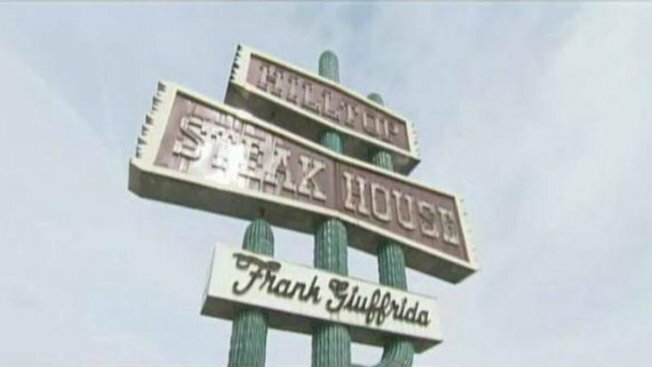 The Hilltop Steak House was founded in 1961 by Frank Giuffrida with its original location in Saugus. The Route 1 establishment was best known for its neon cactus sign. The restaurant closed its doors in 2013.